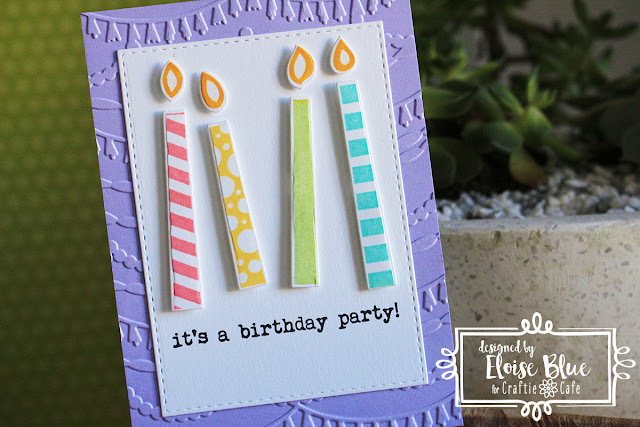 Hi everyone, Eloise here for Craftie Cafe and today I'm making a Birthday Invitation using some Taylored Expressions products. 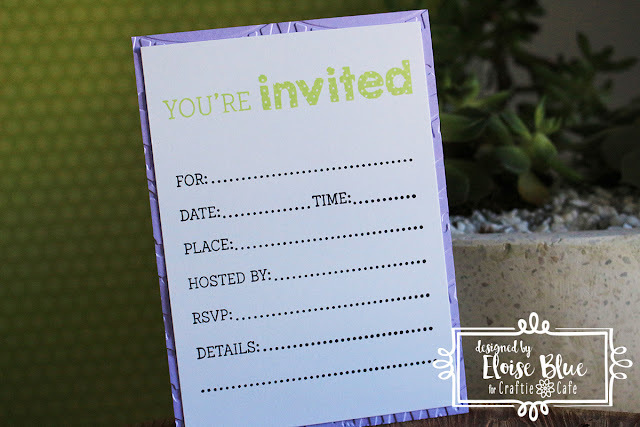 I'll be using the Make A Wish, RSVP and Eventful stamp along with Lawn Fawn inks to create my invites today. I started off with first using the Streamers embossing folder by Taylored Expressions to dry emboss a piece of lavender cardstock, once that was run through I die cut a piece of Neenah Solar White Cardstock with a stitched rectangle die using my Big Shot. Then I stamped my 'it's a birthday party' wording on the bottom with black ink. Next up it was time to stamp my candles. 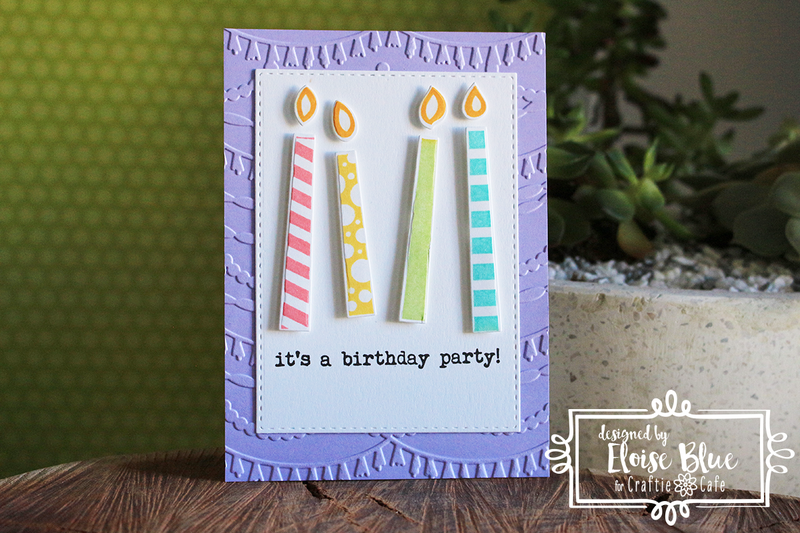 I used five colours of Lawn Fawn ink to stamp each of the candles and flame images using some selective inking and masking to be able to stamp both the candle and flame at the same time as they are connected on the stamp. Once I stamped those out I used the coordinating dies to cut them out. I adhered them onto my panel with foam tape and adhered the panel onto my embossed piece. I then cut down another piece of white cardstock to adhere to the back of my panel. I then used my MISTI stamping tool to stamp the 'You're invited' from the Eventful stamp set and also the RSVP stamp onto the back as well. I used Celery Stick ink for the top and black ink for the message/memo area. I then adhered this piece to the back of my invitation and it was complete. That's a sweet card. I love the color combo.